If you are going to get into a classic Porsche and don't want to pay an arm/leg for entry fee, you might need to look into the less loved front-engine water-cooled Porsche club. 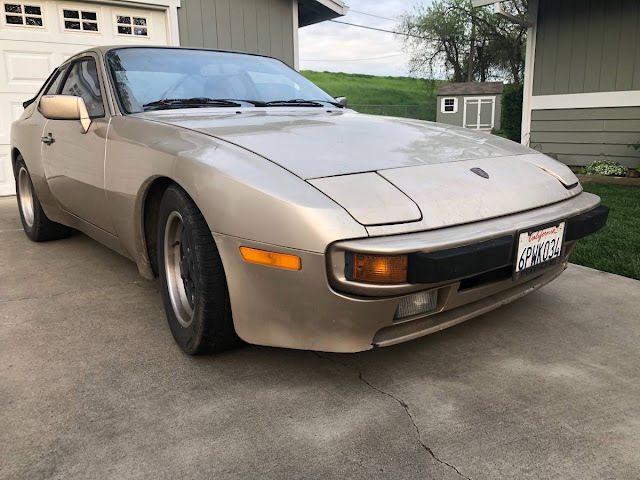 Thankfully, you've got a number of options, but if you can't find one of the rare 924 Turbo models you probably can't go wrong with an inexpensive 944. Like this 1985 Porsche 944 offered for $3000 in Sacramento, CA via craigslist. Up for sale 1985 Porsche 944 project 148,000 miles,nice body, runs and drives ! Fuchs 15x7 205/55/ R15 in the front and 15x8 225/50 R15 in the rear. I’m selling the vehicle and wheels together! Please don’t waste my time if you’re not serious . For Fuch's sake, somebody buy this bargain of a car! Between the value of the wheels and the rear glass as parts this is almost free. Note that there are no interior photos included however. Parts is parts … ! Oof, those are some cheap tires which makes me nervous for the rest of the car's maintenance history. I shopped $3,000 944s last year with my teenage son and there are some scary cars out there at that price point. It is real easy to drop $4-5k into one of these puppies in repairs. Just the control arms are $1,000 to fix if you have a shop do it. Ask me how I know! And the Pelican Parts tutorial on replacing the clutch on the car ends with this nugget: "Congratulations! You have just completed one of the most difficult clutch jobs there is." Yep, we are getting ready to do that one over the summer on my son's 944. 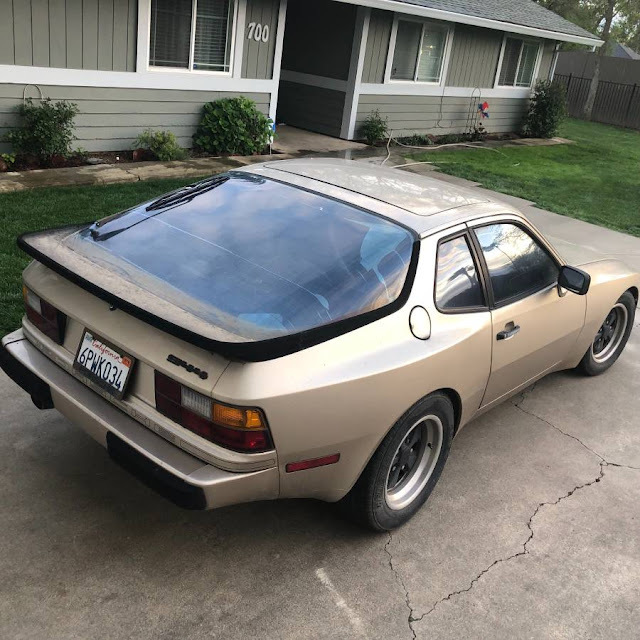 The previous owner of my son's 944 put $5,000 into the car in repairs in the 18 months prior to selling (and had the receipts to prove it). He sold us the car for . . . . $5,000. "Four Fuchs Given" - you guys crack me up! Thanks for my morning laugh, DT.